The Doyle collection will add a bold touch to your sophisticated traditional living room. 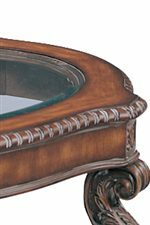 These elegant occasional tables have a warm Antiqued Brown finish that will complement your decor, with rich detailing for a truly special look. 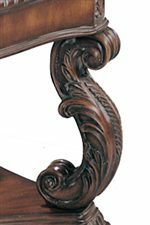 Wood framed table tops have inlaid glass centers, accented with hand carving on edges and intricate leafy "S" shaped legs below. Add your own personal decorative items atop each table to create a unique and stylish look that friends and family will love. 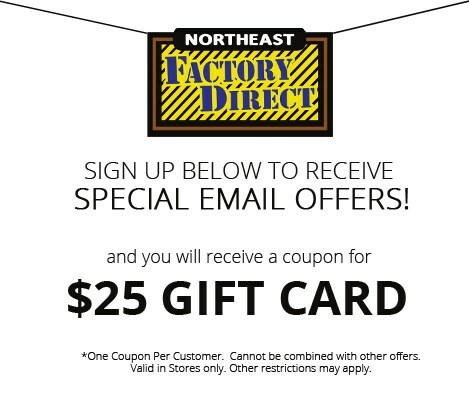 Browse other items in the Doyle collection from Northeast Factory Direct in the Cleveland, Eastlake, Westlake, Mentor, Medina, Macedonia, Ohio area.